This is one of those companies with the short history but with a lot of opinions from clients. The company was established in 2011. Its primary business is the online sports bookings. For the short existence, the company created a reputation for itself and many gamblers or, at least, the one that is better informed about the industry know that name. In the past, the company had a license from Greece but today, their website says they are registered and are regulated by the laws in Curacao. Another part of the business which the company operates is related to casino and similar games. For this actions to be legal, the company has an exclusive casino games license from Malta. To improve their business even further, the company decides to take advantage of the special software. This software comes from Amaya (Malta) which are one of the famous and respected names in the industry. The website of the company looks well and has beautiful graphics. However, in some countries entering the site is not possible due to court decisions. This bookie allows bets to in different sports. These are the most popular and most looked for games which usually 90% of the gamblers bet on. This way even with a relatively small number of sporting events covered by the company, most of the players can find the sport and the particular event which they are looking for. Some of the sports are soccer, basketball, and volleyball. If you want to know more about the sports which the bookie covers you can check the table on the side where all of them are in a list. Another great part of the business of Championsbet is the casino. There are table games, card games, video poker. Another option which the bookie supports is the live betting. 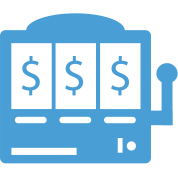 It’s easy to find on the main menu of the website and allows gamblers to make their bets while the event takes place. This comes with the needed statistics and broadens the chances of players to make a win. On top of that, because for many people betting is more of a hobby, this option lowers the chances of loss which is critical. Live streaming is not an option with this bookie, but they offer a special mobile version of the website which eases the process even more and allows for easier and more mobile betting. Any player with a smartphone can bet easy thanks to that option. One advantage the company has over some other online bookies are the fixed odds. The benefits from these are great. Each player can bet on the event he/she wants without worrying about the change in the odds and eventually losing money. On top of that, in some circumstances, these fixed odds can reduce the loss so having odds permanent is a great thing. 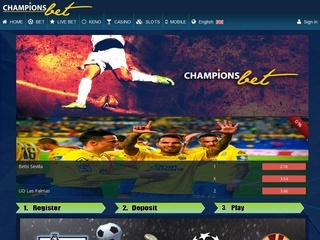 Championsbet offers magnificent and high chances. They offer the most current odds like 1×2, handicap and Asian handicap, both teams to score, the number of goals. As for most online bookmakers safety is a major thing in the business. That holds true for this online bookie as well. Championsbet uses different traditional technologies to make sure their clients and the clients’ money and bets are safe. One of the technologies is the SSL encryption. It secures the transfer of the money to the website and guarantees that all the personal and financial information which every client is about to submit will stay private and will not be reachable to other people outside the company. However, there are exceptions like when different authorities want the information. In this case, any bookmaker must give any information which the authorities need and want to receive. 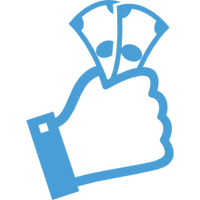 Another safety feature is the unusual payment methods which the company uses which we will mention later. Each employee also must not use or mention any private information to third parties. The company supports eight different languages such as English and German for example. This variety allows people from all around the world to make bets comfortable and to understand better the information which they need to make a safer bet. Contacts with the company are also very easy. They have a special form which any client can fill and the team from the company will soon reach him/her. Live chat is not an option at the moment. In order to make a deposit, the company uses the most modern and common methods. The electronic money makes all of this very simple and easy nowadays. Some of the methods are Skrill, money safe and also different debit cards and credit cards. The bookmaker, as it operates mainly in Europe works with EUR, and this is the main and only currency they support. There are five main bonus schemes with this bookie. One of them is the deposit bonus which is up to 100% of the initial deposit or up to 100 EUR. The next bonus is the casino bonus which is up to 100% or 500 EUR of the initial deposit. The multibit bonus is a way to benefit people who make combinations and play in many events simultaneously. It can reach up to 50%. V.I.P. Bonus us a special way to thank the people who play the most and make the highest odds.